Today is Day Four of my last season of unemployment. Yes, I am keeping track, and yes, I do know that it is my last and final season of unemployment. It is not my last season because it’s my third season of unemployment and three is my favorite number; no, it is my last season of unemployment because I am trusting the word of God and I have faith in His works. I remember my first season of unemployment. I was still in grad school and I cried almost weekly as I went 13 months without a job. Of course, that day of crying was not on the weekend, because I would drive to Baltimore (a 50-mile drive) just so that I could go out and party with my friends. As I look back, I do not know what I was celebrating, but I surely did “celebrate” almost every weekend. I applied for jobs and completed schoolwork during the week and then partied on the weekend; I honestly don’t remember if I even went to church during that time. But then I got a “good job” working in DC and I thought my problems would all be over. I did not know God’s plan for my life at that time, because I honestly did not really know God. This was the beginning of my “if God let them extend me an offer, I’m supposed to take it” thinking period. I truly believed that a YES from an employer was God’s way of telling me to move to that position. So with every yes, I moved on to a new career experience. After a few weeks on the job, I would encounter major setbacks- whether professionally, financially, physically, or emotionally- and I could not understand why God would allow me to move into the new role, but then throw stumbling blocks in my path. I remember one job had me contemplating suicide on a daily basis… so why did God move me there? I didn’t know at the time, but the answer to that question would not become obvious until July 1, 2018. My second season of unemployment was far less dramatic. It began on May 2, 2017, nine weeks after my most severe car accident. I was just about to head out on a client visit and the owners brought me into the HR office and told me that I was being fired. Because I knew that I had only received one disciplinary infraction 16 months prior (for something that was completely unrelated), and I had received two promotions and two separate pay raises since that infraction, I knew that this discharge was not of the company, but of God. You see, He had told me six months prior that it was time for me to leave, but my fear kept me there. Unlike the first time that I was laid off five years prior, I did not shed not one tear. Instead, I walked out of that place with the biggest smile on my face. On the one hand, I felt bad that God had to do my part for me because I was too scared to trust Him. Yet on the other hand, I was glad to be leaving that employer. Truthfully, even though it had been nine weeks, my back was still in an enormous amount of pain and the two-hour commute each way, each day was making my pain even worse. I was grateful for the opportunity to rest and let my back heal properly…yet I still did not worry about the unemployment. I also knew that God wanted me to work on the ministry that He had birthed in me. So I wrote almost daily, read when I didn’t write, and continued to stay hopeful about whatever my next steps would be. I really, I mean really, thought I was moving according to His plan for my life but then a whirlwind job opportunity arose towards what I knew was the end of my season as a substitute teacher…and I jumped without fully thinking. In my three months with this organization, I saw that God had not intended for me to be in this role. God’s permissive will allowed my time there to be productive and beneficial, but it was not within His ultimate will for my life. And I can confidently say that because I am no longer with the company and now in my third season of unemployment. Unlike my first and second seasons of unemployment, I see now that God really needs me to focus on what He has called me to do. With each season of unemployment, God has clearly revealed why He had to remove me from my job. While I ignored His words during season one, I heard and understood them clearly in seasons two and, now, three. Earlier this year, God told me explicitly what I am supposed to do with my remaining time- however long it may be- on this side of Glory. In His faithfulness towards me, He continued to open doors for me along this path, even when I was in roles that fell under His permissive will…because these doors would lead me towards dwelling in His ultimate will. So, what does this all have to do with you? I am often asked “what should I do in this season of [blank] in my life?” My answer is normally longer than what I am about to say, but here goes: It’s time for you to hear His voice and walk in His will. As 1 Kings 19:12 says, the Lord speaks to us in a small, still voice- we must be quiet and still in order for us to hear His words. (For context, I recommend reading all of 1 Kings 19.) A prayer is a conversation with God, and just like conversations with humans, it is not to be one-sided. We must say our piece, and then let God say His. Figurative speaking aside, we must literally shut up and let God talk. It is impossible for us to hear the words and will of God if we dominate every conversation. Beloved, let God speak. Let Him speak and let Him tell you where He wants you to go. And to complement our silence, we need to add patience. Our timing is not the same as God’s time; He will do just as He said He will…but in His own time. This is a hard concept for us as Christians to understand sometimes. We have read in His word that He will do these things for us, we have prayed and prayed about them, but yet the things do not arrive/occur when we believe they should. Reflect back on John chapter 11, the story of Lazarus, but specifically focus on verses 41b-42. Jesus showed up after Lazarus had died and was dead for four days…even though He had known that Lazarus was sick before he died. So why did Jesus show up “late”?… so that God could get the glory. If God moved according to our timing, we might think that it was we ourselves who made stuff happen. No, no, beloved; it is all God. He moves in His time so that there is no possible doubt that it was He who moved, in His Sovereignty, and not us in our humanity. So, we must be quiet (check), and we must be patient (check, check) …. now what? Going back to John 11:43, Jesus called out to the dead body of Lazarus and told him to rise (Jesus had to specifically say “Lazarus” or else every dead person would have gotten up). Verse 43 is so important to our faith… but so is verse 44… because Lazarus obeyed. When God explicitly tells us to move, we need to move! There is no time for hemming and hawing; we need to be ready to do as He says, when He says it is the time to do it. Beloved, you’ve spent how long asking God to make a way, listening for His words, waiting for Him to make a way… just for Him to make a way and you not step into it??? What sense does that make? Until we are moving in the ultimate will of God, we will continue to experience unnecessary setbacks/pains/confusion/issues. That is why it is so important that we are able to discern the voice of God and move according to His will for our lives. No matter where you are on your Christian walk, if you are reading this, it is now time for you to put aside the old ways of handling your life and fully move in His will for your life. Put aside what you thought you knew and walk in what His word says. Just remember that when He does speak, you need to move. 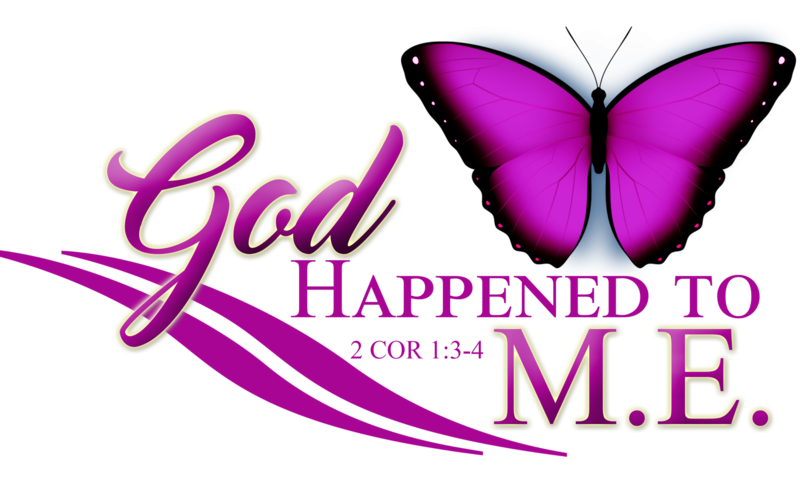 Pingback: Famous or Faithful?… – God Happened To M.E.